There are some pretty hair-brained ideas on the internet about how to solve one of life’s many bug bears – noisy neighbours. Despite what some think, it is much more complicated than laying a shaggy rug on your floor or strategically placing a bookshelf against a wall. The reality is that absolute soundproofing is a professional, or adept DIY handyman’s, job. This is because soundproofing, as opposed to sound absorption, eliminates all gaps between the two spaces through which the noise is transferring. Therefore, actually soundproofing your apartment means preventing all (or most) noise from travelling from a street through a bedroom window, or between two residences, for example. This apartment probably has a pronounced echo, but this doesn’t mean it needs soundproofing. No matter how much of an echo chamber your apartment is, this has nothing to do with soundproofing. If it sounds like noise is bouncing around your apartment, this is solved through sound absorption NOT soundproofing. You can have an acoustically comfortable apartment full of soft furnishings ; but this won’t stop noise from entering your apartment and ruining a good night’s sleep. Simple acoustic panels can offer a small amount of soundproofing, but alone they aren’t enough. You can line your walls top to bottom with standard acoustic panels and you are going to have a very quiet interior acoustic environment, but again, this won’t prevent noise from entering your apartment in the first place. There is a particular article on the web that suggests placing a sound absorbing pillow headboard above your bed as a good way to soundproof your apartment. Note: hanging a few pillows above your bed WILL NOT do anything to soundproof your apartment. No matter how much sound absorption you place within your home – you are not going to achieve soundproofing through this means alone – you need to address structural faults. Bookshelves look good, but that’s about all they do. There is a romantic idea floating around the web that placing a bookshelf in your apartment is going to somehow mean you won’t be woken by the garbage truck at 4am. The best thing you can do when trying to soundproof your house, apartment or loft is to be realistic. There is no quick fix that is actually going to lead to a soundproofed apartment. If you want to actually have an air-tight soundproofed apartment, it is a massive job that requires restructuring and man hours. OK, none of these actually involve soundproofing measures – but they are some quick, affordable and effective ways to help you get a good night’s sleep. Probably the cheapest way to help you get a good night’s sleep is with a pair of earbuds. Achieving complete silence is impossible, even with the best earbuds; this is because your skull and bones conduct sound as well. However, Earbuds can certainly help. A little known fact about earbuds is that they come with a Noise Reduction Rating (NRR), making it easier to pick earbuds that will effectively block noise. 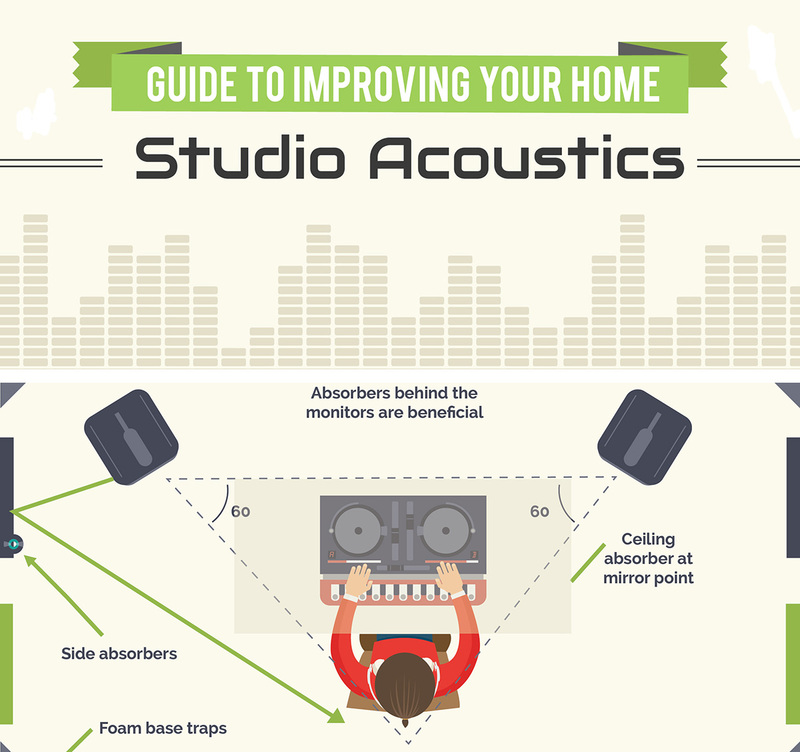 Check out this guide for the best guide into soundproofing for your ears. As we are increasingly living ontop of one another in overpopulated cities – the greatest cause of noise complaints is between neighbours with adjoining properties. 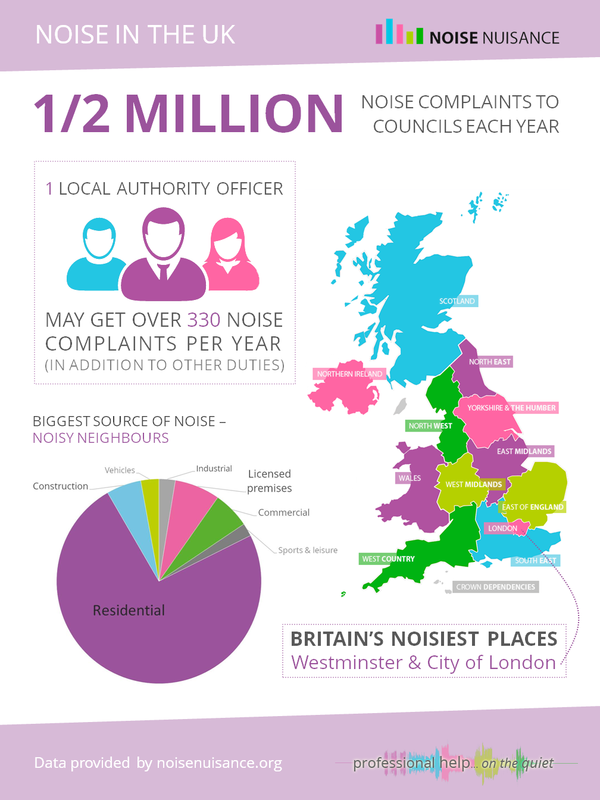 The UK alone sees half a million noise complaints annually. If you have a noisy neighbor keeping you up at night, the first step you should take is actually talking to them. Be polite and ask them if they wouldn’t mind taking their activities into another room. Many swear by the magical powers of white noise machines. White noise is broad-band noise signals played as a constant. Put simply, white noise machines drown out other noises in your immediate environment that might interfere with you falling asleep, or while you are asleep. By playing a non-distractive form of noise, white machines divert your attention by masking disruptive noise sources. Here is a good guide to white noise machines to help you choose the best machine for your needs. If you have a little bit more scope, then a few little handy, inexpensive tricks can really help reduce noise pollution entering your apartment. When your space or budget is limited, any amount of sound reduction is helpful. This will usually mean targeting your windows and doors. Apartment doors are actually usually hollow; and can transfer noise. One of the main sources of noise entering your apartment will be through your front door. Noise from corridors and landings finds its way into your apartment through gaps around the door’s edge, and resonate through the door’s core as well. Apartment doors are usually hollow, with little to no ‘core’, meaning noise is more likely to resonate through your door. If you are afforded the opportunity, replace your hollow door with a solid, heavy-set door. If not, then your best bet is to purchase an acoustic door seal kit and fix it to your current door. Acoustic seal kits work to eliminate the gaps around the door’s edge and can go a long way to preventing noise transfer through your door. If you are budget constrained, then buying some pipe insulation foam and sticking it to the base of your door, combined with some weatherproof strips to seal off the rest of the door can also help. 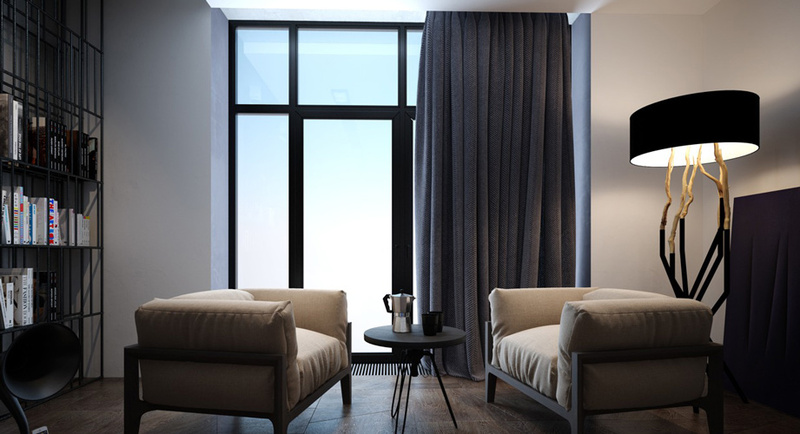 Heavy curtains can help block some noise, and sometimes that is all that’s needed. 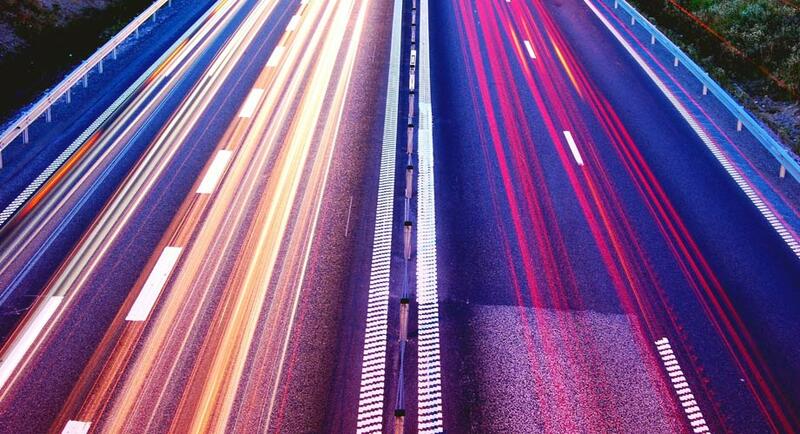 Noise transmission through windows can be one of the biggest impediments to a good night’s sleep. Again, you are probably limited by just how much you can alter the windows in your apartment, but if you can, you should. If you can replace your windows, then opt for a line of windows made to stop noise transmission, such as those from Hugo Carter. Another option is to use a window seal kit. Seal kits for windows essentially allow you to add another glass layer to your window by providing a window seal track installed in front of the existing window. This decouples the two glass layers, creating a dead space, which is hugely beneficial to stop noise transmission. Another option is to make your own soundproof window plug using a soundproofing mat ‘plugged’ into the window’s frame. If all else fails, then a heavy curtain or draping will provide some respite from street noise. The structure of a soundproofed wall is more complex than you might think. The hardest part of achieving a fully soundproofed apartment is when it comes to the walls and floor. Unfortunately, as large houses get split into smaller, rentable units, the partition walls used to divide units and rooms are usually constructed on the cheap. To achieve real soundproofing between two rooms, the walls need to be mass loaded and isolated from one another. Unfortunately, stud partition walls usually only include a small amount of thermal insulation, and isolation or decoupling is certainly not taken into consideration. The result is noise transmission between walls, and often, floors. More bad news – to actually achieve soundproofing of your walls and floors requires a large amount of construction work. Essentially the walls and floors need to be opened up in order to fix any structural issues leading to noise transfer. If you do have the scope to undertake serious structural changes, then do proceed. If not, then this is where killing noise with kindness and other cheap fixes will help you. Standard stud partition walls usually don’t have enough insulation and aren’t decoupled. To achieve proper soundproofing of a wall requires the use of three principles: mass, absorption and decoupling. By adding extra mass to walls, placing sound absorptive materials within the wall, and isolating the wall itself from its structure, you can achieve a good level of soundproofing. This guide from Instructables details how to create a soundproofed wall from scratch. Maybe not the best for those wishing to soundproof an existing wall, but a good resource nonetheless. This guide from Family Handyman shows the process of soundproofing an existing wall, without adding any additional plasterboard layers to your wall. The most complete way to soundproof a room is to use build a ‘room within a room’. This is a massive undertaking and is a method favoured by musicians and audio engineers wishing to create a rehearsal room or recording studio. If you you have the permissions to go down this route, check out this guide from Trust Me I’m A Scientist. For floors, check out this guide from Underlay4U. Properly soundproofing an apartment is a massive undertaking, but definitely possible if you have the time, permissions and know-how. 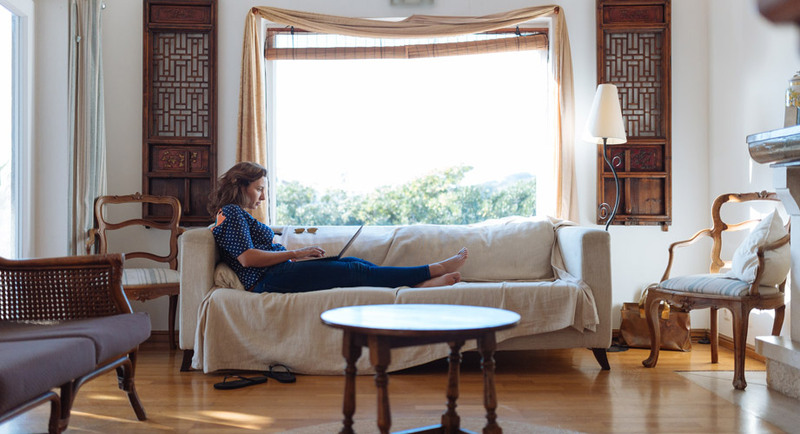 If you are a run-of-the-mill renter then your best bet is to consider some quick fixes to give you some respite from noise. If you have a little bit more scope, a few simple fixes could go a long way towards preventing noise spilling into your apartment. If you can go all out then remember the soundproofing rules of density and decoupling!